Congratulations to our Client Smart Mom Jewelry for their feature on Babble! 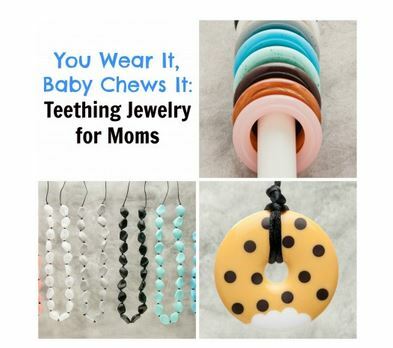 At Smart Mom Jewelry looking chic is always a priority, but it takes a back seat to ensuring their products are 100% safe for little questing hands and mouths. All of their trendy pendants, bangles, and key chains are made from the same silicone that regular baby teething toys and coated infant spoons use. They are phthalate, BPA, PVC, lead, and latex free so mom and dad can let them chew to their hearts’ content worry free. Diffuse potential teething breakdowns while attending holiday parties and family events by wearing one of their shimmer pendants in jolly colors like emerald green and vibrant red. These soft donut shaped pendants are just the right size for babies’ mouths and are recommended by Dr. Sears of The Doctors, as one of the best tools for soothing and entertaining them while their teeth are starting to emerge. Each pendant comes equipped with a breakaway clasp as an added safety measure and is available in a multitude of colors and designs to fit her style. Check them out at SmartMomJewelry.com!